The orange fruit we are all familiar with is a hesperidium (type of berry). It grows on a small flowering tree which is about usually about 10 m tall and has evergreen leaves. Tangerine is also a citrus fruit and orange-colored. It is one of the varieties of the Mandarin orange. It is easier to peel and split a tangerine over the other varieties of oranges. It is less sour than an orange. The Clementine is also a hesperidium and a variety of the mandarin orange. It has a smooth and glossy appearance. These are mostly seedless. These are also sometimes referred to as seedless tangerines. Orange is a hybrid of pomelo (Citrus Maxima) and mandarin. It is believed that oranges were cultivated in Southeast Asia originally. The name ‘orange’ is derived from the Sanskrit language. It is believed that the Clementine was an accidental hybrid which was discovered by Father Clement Rodier at an orphanage in Algeria. However some say that it was cultivated in China at a much date. Tangerines have been cultivated in Japan and Uganda for more than three thousand years. Tangerines have been found in various sizes ranging from that of a walnut to the size greater than that of an average orange. Various varieties of oranges are consumed widely; some of the very popular ones are the Blood Orange, Navel Orange, Persian Orange and Valencia Orange. Varieties of tangerine include the sweet honey tangerine (Murcott), sunburst tangerine and Fairchild tangerine. Dancy tangerine is another one of the oldest varieties and is not grown widely anymore. Dancy tangerine was also called kid glove orange or zipper skin tangerine for its loose peel. Clementine and its many varieties are not easily distinguishable. A very similar variety of Clementine is called the Satsuma. Tangerines are an excellent source of vitamin C and beta carotene. They are also rich in potassium, magnesium and vitamins B1, B2, and B3. Its oil is mostly limonene. There are 12g and 9g of carbohydrate and sugar respectively in every 100 grams of Clementine. They are rich in calcium, phosphorus and potassium. 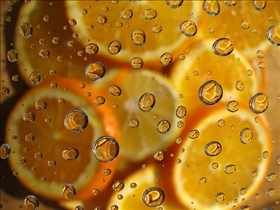 Oranges have a pH level of 2.5 – 3 and hence are acidic. They are less acidic than the lemon but its acidic nature can be compared to that of household vinegar. There are 2.4 grams of fiber in every 100 gm of orange hence it has more fibre as compared with clementines and tangerines. Oranges are rich in potassium, vitamin c and calcium. 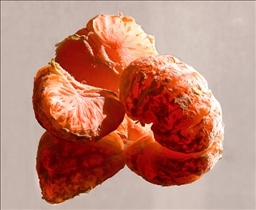 Orange’s fruit is a hesperidium (type of berry). Orange is a hybrid of pomelo (Citrus Maxima) and mandarin. Blood Orange, Navel Orange, Persian Orange and Valencia Orange are some famous varieties. There is 2.4 grams of fibre in every 100 gm of orange. Tangerines have been cultivated in Japan and Uganda for more than three thousand years. Varieties of tangerine include the sweet honey tangerine (Murcott), sunburst tangerine, Fairchild tangerine and Dancy tangerine. Tangerine is an excellent source of vitamin C and beta carotene. It has a smooth and glossy appearance and is mostly seedless. It is said that Clementine was an accidental hybrid which was discovered by Father Clement Rodier in an orphanage in Algeria. It is rich in calcium, phosphorus and potassium. Which orange fruit is sweetest?